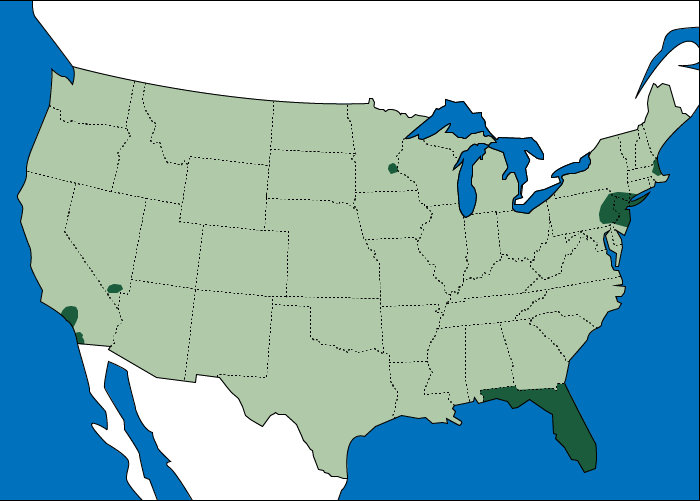 The unique Naava Green Walls are spreading around the United States, thanks to our partners. With an expanded selection of operational areas, forest fresh Naava air can now be enjoyed in both the East and West Coast. You can now acquire your own smart and active green wall in our operational areas in New York, Minnesota, Massachusetts, Florida, California and Nevada. See below for information of the areas we deliver to in more detail. If you happen to live outside of our operational areas, contact us to discuss whether fresh Naava air could be brought to your doorstep - no matter where in the US you may be. Operational areas of Naava and its partners. Other possible delivery areas. Get in touch for more information. Naava entered the US market in New York, opening its production facility in New Jersey in 2017, after making it big in the Nordic market with over 1,000 Naava Green Wall installations. With the growing interest in biophilic design in the US, Naava Green Walls are the easiest way to bring fresh natural air and real nature inside offices, schools and homes in the USA. Thanks to Naava's partnerships with Ambius and Delos, installations can now be carried out in several regions of the country, enabling more people to breathe and enjoy fresh air and living nature indoors. Contact us to discuss options for a Naava solution of your own.